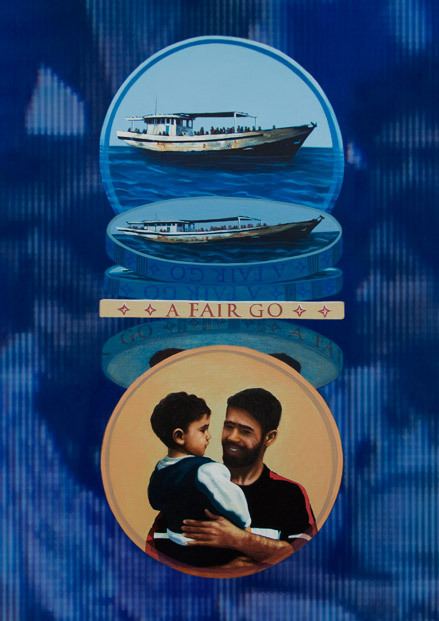 Thus, attempts by political parties and racist elements within Australia to vilify those fleeing oppression are ultimately bound to fail as they run counter to Australia’s inherent sense of fairness. Andrew Hill is a Senior Lecturer and Portfolio Leader: Teaching and Learning at the School of Art, Architecture and Design within the University of South Australia. He has a long history of community engagement, particularly with peoples from refugee, immigrant and indigenous backgrounds. His work has included many major art exhibitions and publications, including several which have been considered milestones in the development of multiculturalism and the construction of art grounded in Australia’s cultural diversity. His work is in numerous public and private collections, including the National Gallery of Australia.